FORT MYERS, Fla. ( November 26, 2012 ) – Shell Point Retirement Community’s Assisted Living facilities will host a “Home for the Holidays” event to allow individuals the opportunity to learn more about the assisted living options at Shell Point. This event will take place on December 22, 23, 24, 26, and 27 from 10a.m. to 5p.m. at The Springs Assisted Living, located at the entrance to Shell Point. Assisted Living at Shell Point is designed to create a homelike environment, while offering resort-style services and features to assist in maintaining optimum health and independence; with the reassurance of knowing that assistance is always available should it be needed. According to Millis, Shell Point Retirement Community offers the finest assisted living choices available with a variety of price points and floor plans to choose from. FORT MYERS, Fla. (November 21, 2012) – Shell Point Retirement Community’s “Shell Point Cares” program donated several bags of nutritious food to the F.I.S.H. Food Pantry on Sanibel Island to help those in need during the holidays. Staff members of Shell Point Assisted Living visited F.I.S.H. on Sanibel to drop off this generous gift. 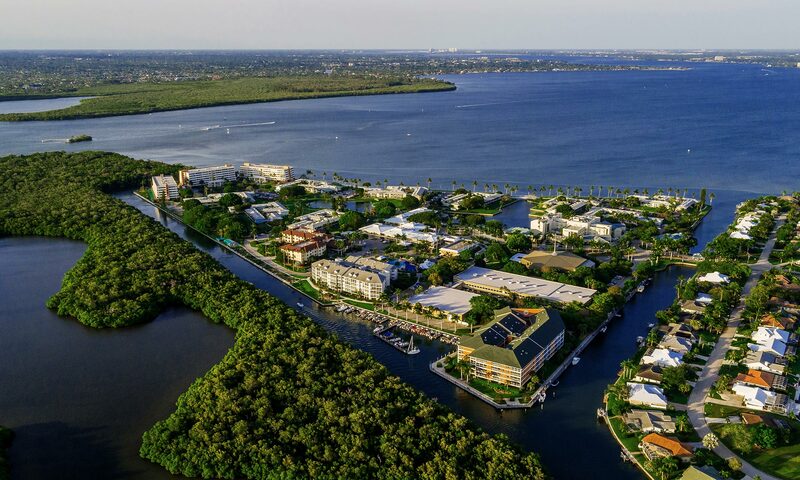 “With Shell Point Retirement Community being in such close proximity to Sanibel Island, we truly consider the Island to be one of our closest neighbors,” said McKenzie Millis, Assisted Living Healthcare Marketing Specialist. “We are proud to support F.I.S.H. in its mission of neighbors helping neighbors. We work closely with the entire F.I.S.H. team in sharing resources and expertise in the healthcare and retirement arena. FORT MYERS, Fla. (November 20, 2012) – The Larsen Pavilion at Shell Point Retirement Community has earned a Five Star Rating from the Centers for Medicare & Medicaid Services (CMS), the national agency responsible for overseeing the quality ratings of skilled nursing facilities that participate in Medicare or Medicaid. The Five Star Quality Rating System is used by CMS as part of the agency’s “Nursing Home Compare” public reporting site, which ranks each nursing home by a set of criteria. The primary goal in providing this rating system is to provide residents and their families with an easy to understand assessment of nursing home quality, making meaningful distinctions between high and low performing nursing homes. The rating system features an overall five-star rating based on facility performance for four types of performance measures, each of which has its own associated five-star rating. These domains are: Federal Health Inspections, Staffing Levels, Quality Measures, and Overall Rating. The Larsen Pavilion received a coveted 5 out of 5 star Overall Rating, as well as 5 out of 5 stars in the categories of Quality Measures and Staffing, placing it in the top 20% of the best nursing facilities in Florida. The 9th Annual Shell Point Open Charity Golf Tournament, raised $24,000 that will benefit the Waterside Medical Complex which offers medical and healthcare services to residents of Shell Point and the surrounding local community. This complex includes the Larsen Pavilion (a 219 bed skilled nursing facility), a state-of-art rehabilitation center, and many more healthcare services. FORT MYERS, Fla. (November 15, 2012) – The Academy at Shell Point invites Southwest Florida residents to attend an informative presentation, Russia Revisited, by Thomas Tyrell, retired lawyer and former economic advisor to the UK government. This presentation will take place on Tuesday, November 27, at 10am, in the Grand Cypress Room of The Woodlands at Shell Point Retirement Community. Tickets are required and the cost to attend this presentation is $10 per ticket. Thomas provided three sessions in the Academy last fall on “Russia in The Twenty First Century – Who Lost The Peace Dividend?” This fall upon his return from the Isle of Man, he will share with us his perspective on Russia since then. “A lot has happened in Russia this past year, and we always enjoy Thomas’ learned interpretations, especially gleaned from his half year over there,” said Teri Kollath, Manager of Academy and Volunteer Services. • Merling Trio – Monday, November 26, 2012 at 7:00pm – The Merling Trio is widely recognized as one of today’s premier ensembles. Their fusion of violin, cello, and piano has led them to be hailed as a brilliantly distinguished group endowed with remarkable gifts of communication, magnificent precision, and an impeccable blend of sound. A truly international trio, it brings together musicians from Polish, Japanese, and Dutch backgrounds. Following its New York debut in Weill Recital Hall at Carnegie Hall, and named finalist for the Naumburg Foundation Chamber Music Award, the group has maintained an active tour schedule throughout the United States, Canada, and the United Kingdom. Shell Point Retirement Community welcomes Spanish Brass on Thursday, December 6 as part of the 10th Annual Fine and Performing Arts Concert Series. This concert will begin at 7:30pm in the Village Church auditorium located on The Island at Shell Point, and tickets are $35 each. Enjoy the delightful music of the Christmas season with Spanish Brass, a brilliant quintet comprised of two trumpets, a trombone, a French horn, and a tuba. From classical to contemporary, Spanish Brass has spanned the globe performing eclectic musical programs from an elegant repertoire to the delight of audiences from Hong Kong to Brazil to New York and beyond. Since capturing first prize in the 1996 “Ville de Narbonne” 6th International Competition for Brass Quintets (France), Spanish Brass has enthralled audiences at prestigious events such as the Great American Brass Band Festival, Festival de Musique de Radio (France), Granada International Festival of Music and Dance (Spain), Cheju Summer Festival (Korea), Kalavrita Festival (Greece), and many others. With impeccable phrasing and collaborative chemistry, Spanish Brass offers selections ranging from Bach and Mozart to flamboyant Hispanic works by Albeniz and Turina. The Academy at Shell Point invites Southwest Florida residents to attend an informative presentation by Robert Macomber on Cuba Then, Cuba Now. This presentation will take place on Tuesday, November 13, at 1pm, in the Grand Cypress Room of The Woodlands at Shell Point Retirement Community. Tickets are required and the cost to attend this presentation is $10 per ticket. Join award-winning author and lecturer Robert N. Macomber for a discussion of his tenth and recently released novel, Honorable Lies, an espionage story set in 1888 Havana. The novel follows Commander Peter Wake, of the U.S. Office of Naval Intelligence, who has been given the daunting mission to locate and rescue two missing operatives in his spy network who are feared captured by the Spanish counter-intelligence authorities. Macomber will tell us about the nest of intrigue that was Havana in the 1880’s, during the fight for Cuban independence from Spain. And he will also let us know what it is like now, from his experiences during three journeys inside Cuba to research and write the novel.